3 bedroom house with private pool. 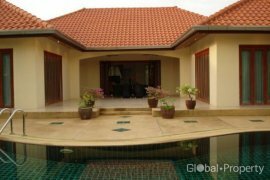 Three bedroom house in East Pattaya. House for Rent and Sale in East Pattaya.Detached, two storey house, internal size 115 m sq, external size 144 m sq, 3 bedrooms, 3 bathrooms, fully furnished, fully fitted kitchen, full Euro style furnishings, fully fitted Euro style kitchen, TV, Internet, Cable, AC, washing machine, private gardens, communal swimming pool, car park, 24hr Security. 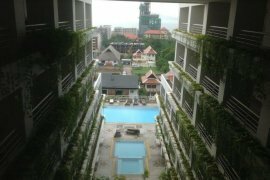 Two bedroom townhouse in East Pattaya. House for Rent and Sale in East Pattaya.Town House, two storey house, 2 bedrooms, 2 bathrooms, fully furnished, fully fitted kitchen, laundry, TV, AC, microwave, close to local amenities, quiet location, restaurant, balcony/terrace, car park, 24hr Security. The Chase Villas House for sale and for rent in East Pattaya, Pattaya. SRH11247. 1,100 m2 / 2 Ngan 75 Sq.W. Hello, Please contact me, I am interested in properties for Rent in Chonburi. Best Regards. Thailand Property is an online property portal where thousands of property searches happen every day. Start your search today for affordable property for rent in Chonburi from 14,274 available listings. Condominiums, houses, townhouses, villas, commercial space, and luxury properties are available for rent in Chonburi. Chonburi’s properties for rent are either listed by private home owners or property agents such as Supreme Real Estate Co., Ltd, Accom Asia Co.,Ltd and RE/MAX CondoDee. The average asking price for property rentals in Chonburi is ฿ 52,085 for houses and ฿ 27,326 for condos. Refine your search to help you find the perfect Chonburi property by price and number of bedrooms.